New Year’s is a great time for resolutions, so how about you take one that helps you sleep better in 2017. Insomnia and lack or unhealthy patterns of sleep can affect your daily life. Scientists have associated sleep problems to several health conditions. Don’t carry on this burden of sleeplessness through the next year. Here’s what you can do. Soothing sounds can help relax your mind and put you to sleep. That’s why white noise machines are a big hit with people tossing and turning in bed. But that’s not the only sound that’s been researched to be helpful when it comes to putting one to sleep. A variety of sounds including white noise, pink noise, brown noise, waterfall sounds, sea waves, heart beat etc. can calm your mind. There are many apps that host these features and more. Like Relax Melodies, which gives you a bunch of sound options and even has a meditation program to help you reach sleep goals. Technology has manifested in all aspects of our lifestyles. Fitness and health gadgets are so innovative they can almost surprise us. 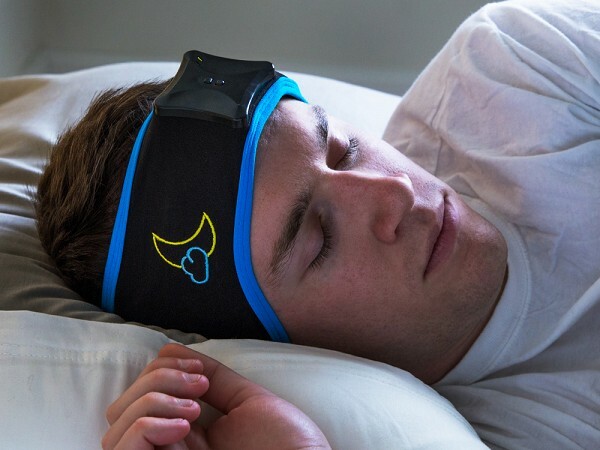 There are gadgets to help you sleep too. Like the Sleep Shepherd, which looks like a shower cap that you put on when sleeping. When you go to bed, this gadget utilises EEG Sleep Monitoring to measure your brain rate which is usually at 50 Hz at first. It must drop to 10 Hz for you to fall asleep. The specialised binaural beat in the app slows your brain rate so that you enter a sleeping state. Using it constantly helps optimise your sleep cycle. This device is compact which makes it easily portable even when you travel. Another interesting tech is the Dreampad, a pillow that comforts you in more ways than a regular pillow and helps you sleep better. It delivers soothing music through gentle calming vibrations. This technology is based on the natural conductivity of the human body. These vibrations circulate around your ear and triggers a relaxation response in your body. This helps you sleep. If you’re sceptical of gadget to help cure your natural disorder, try these quick tips for improved sleep. Don’t go to bed right after dinner. Don’t consume caffeine before bedtime. Give it a good three hours before you hit the sack. Exercising every day can improve your sleep. Aromatherapy, especially with some lavender oil will help calm your mind. Meditating before bedtime can also relax you and help you sleep.